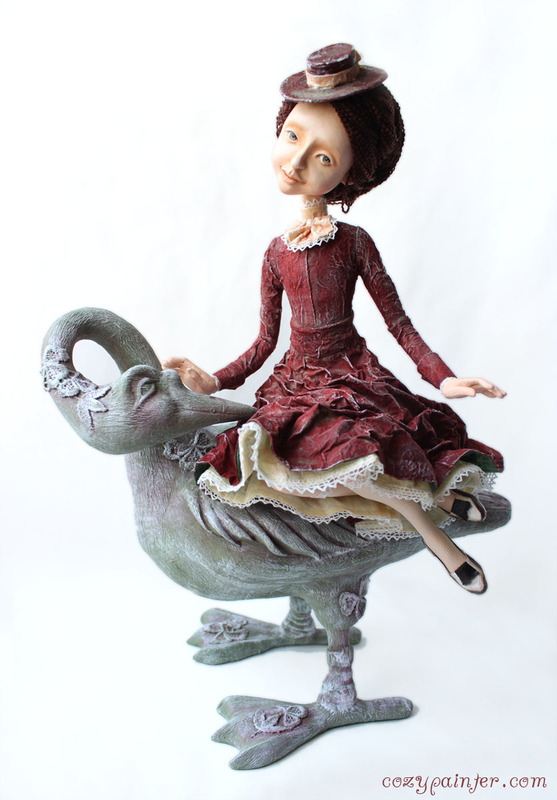 Here is my latest creation: Mary Poppins with her new adventures on a Green goose. 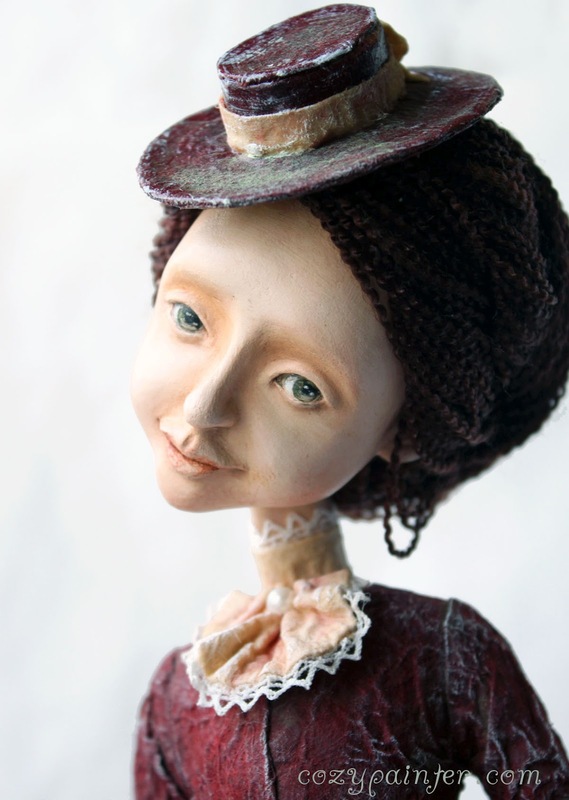 She was born thanks to a wonderful teacher-artist Luba Lukyanchuk and her express-course of doll-making. 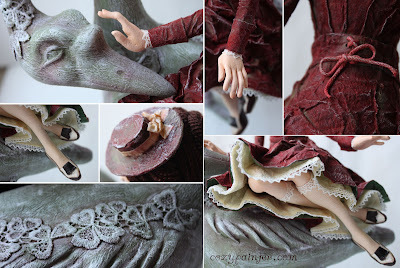 Materials are sculpting clay “Das”, paper clay and rice paper; painted with acrylic and pastel.